Should I go or not? I had this debate with myself despite the fact that I was all dressed up.And the indecision is not exactly life-changing. 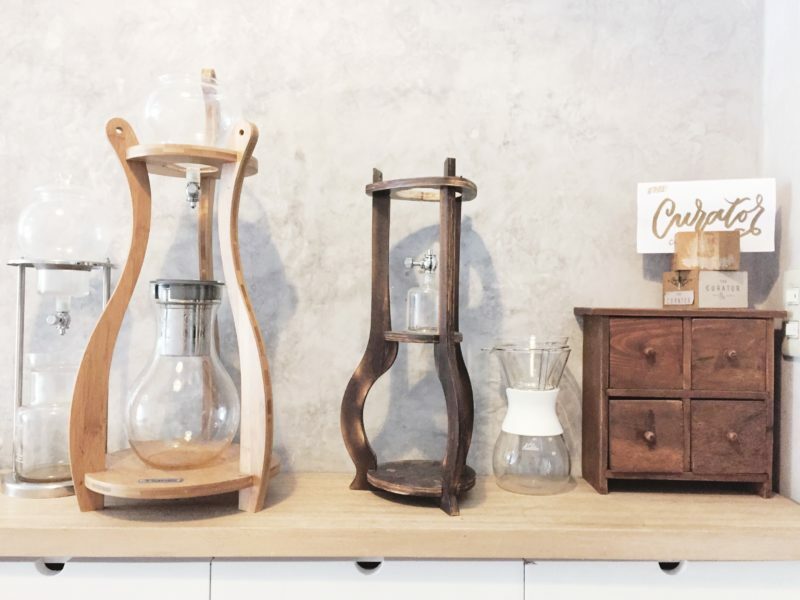 I just can’t decide whether I should go check out this cool cafe that I discovered on net. You’re reading this post, this should tell you already what was my decision. Today let me introduce you to The Curator Coffee and Cocktails. The Curator Coffee and Cocktails is one of those third-wave cafes under the cool or hip category. 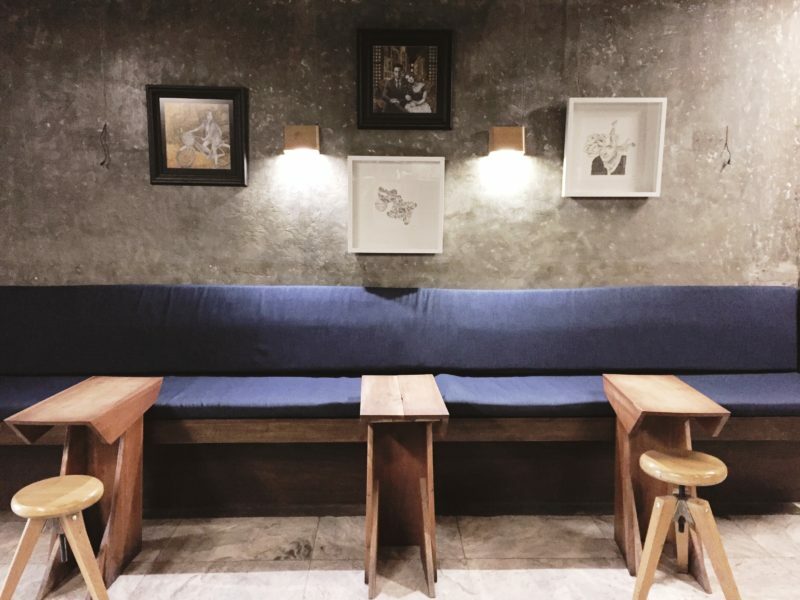 It serves hand-crafted coffee and you can find this at the end of Palanca street in Makati. It has no sign outside, if you don’t look closely you might miss it. Take note that it’s in the Prudential Building, right across BDO. 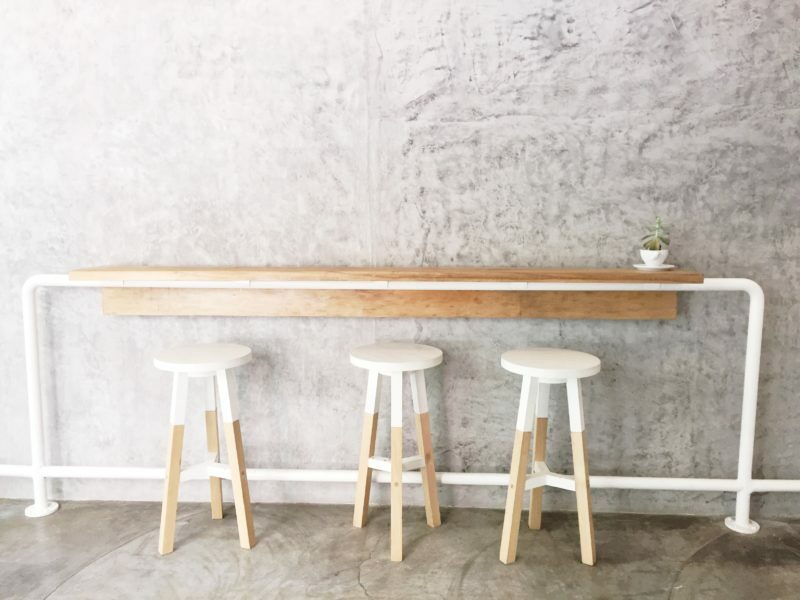 The design of the cafe is minimalist, no over-the-top decors, no bold colors, almost bare save for some three-legged stools and this cushioned chairs and and two tables in the corner of the room. 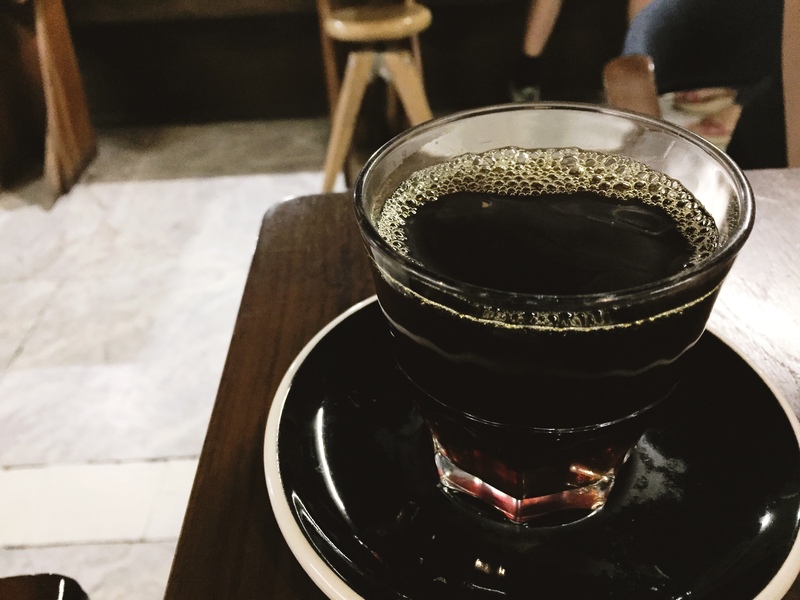 Most third-wave cafes use dark tones; The Curator keeps it light. The use white paint for the ceiling on top of the bar, the body of the bar table, and the top of the stools. Not only is it a cafe, it is also a bar. Inside, past the counter, there is another room where you can find the Cyrano wine bar. It’s dimly lit and there are two long, dark-stained tables in the middle of the room. On the far side of the room is the wine bar. 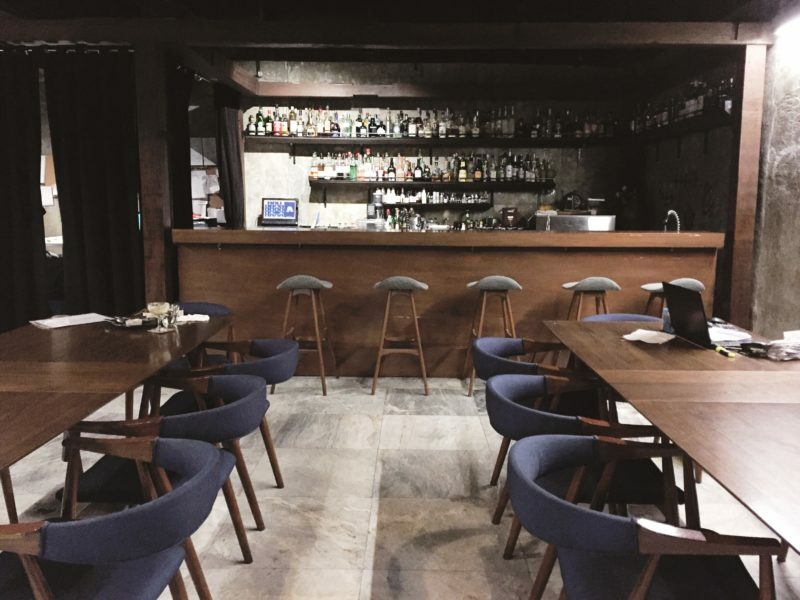 Cafe goers can take a seat inside the wine bar. Do not expect so much from the menu; food choice is narrow. In fact, there are some food missing on the menu when I went there a second time. According to Fred it gets busy in the morning (business hours is 7:00 a.m. – 2:00 a.m.) so there are times that they run out of ingredients. On how fast they replenish their supplies, I’ve no idea. On my first visit I had the WeLoveLegaspi Breakfast (PHP 280 – USD 5.58). 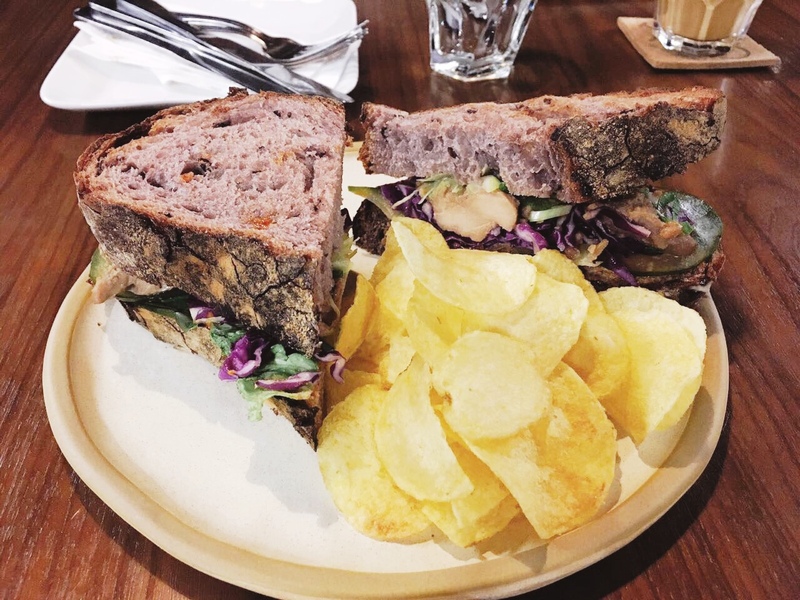 Yassie recommends it to first-timers who have no idea which one to pick from the menu. It’s bread (in my case I had croissant) with jam and butter, and poached egg and it comes with your choice of beverage. 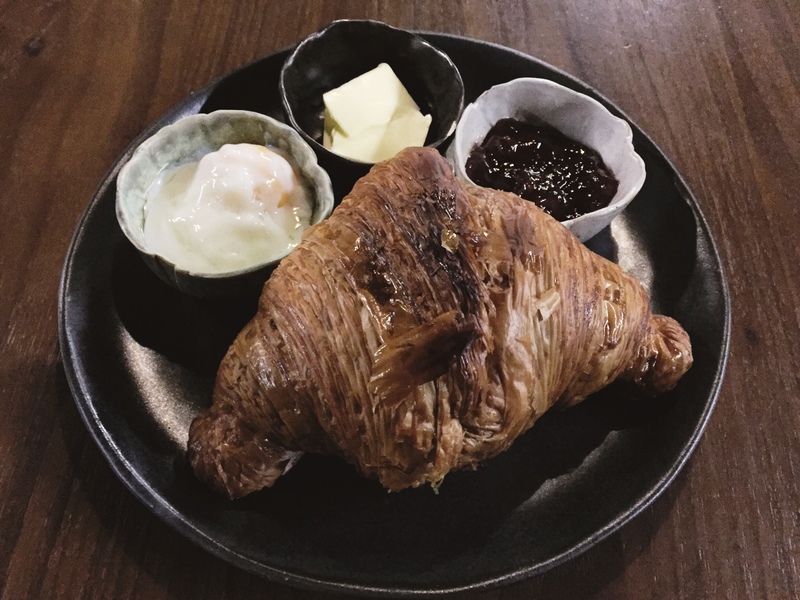 My standard for the best croissant is the one from Wildflour. I think I just found it’s biggest competitor. It tastes good even without the jam and butter. Iced Chakowhat-To is my choice of drink; it’s red eye with milk on a wine glass. It tastes like iced latte. 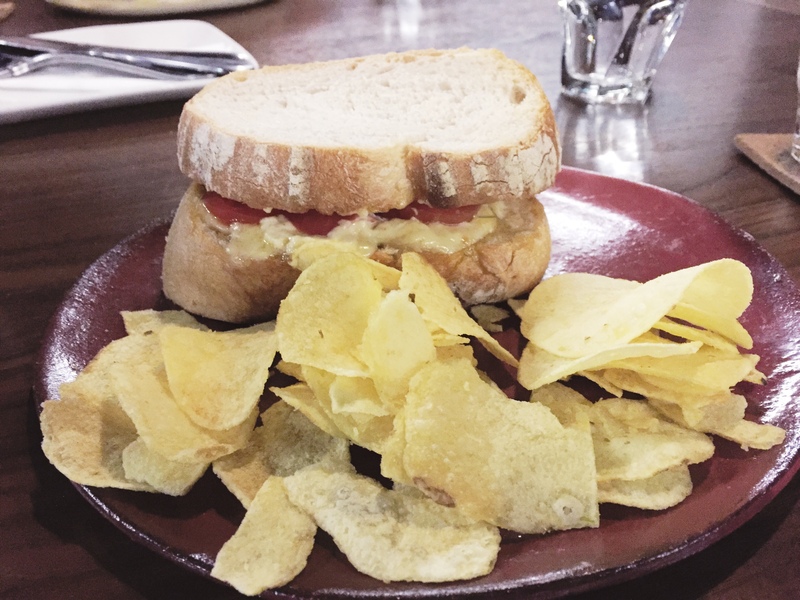 On my second visit I tried the Smoked Cheese Sandwich (PHP 240 – USD 4.78). The bread that they use for this sandwich is baguette, but they ran out and used sourdough. It was a little bit tough; the bread is crunchy and thick. Nevertheless it was amazing; the potato chips crisp and a bit salty. The foreign guest of my friend liked his chicken sandwich; my friend enjoyed her cup of black coffee, Brew of the day (PHP 120 – USD 2.39). Me, I had Espresso with Milk (PHP 140 – USD 2.79), on which type of preparation it’s up to you. 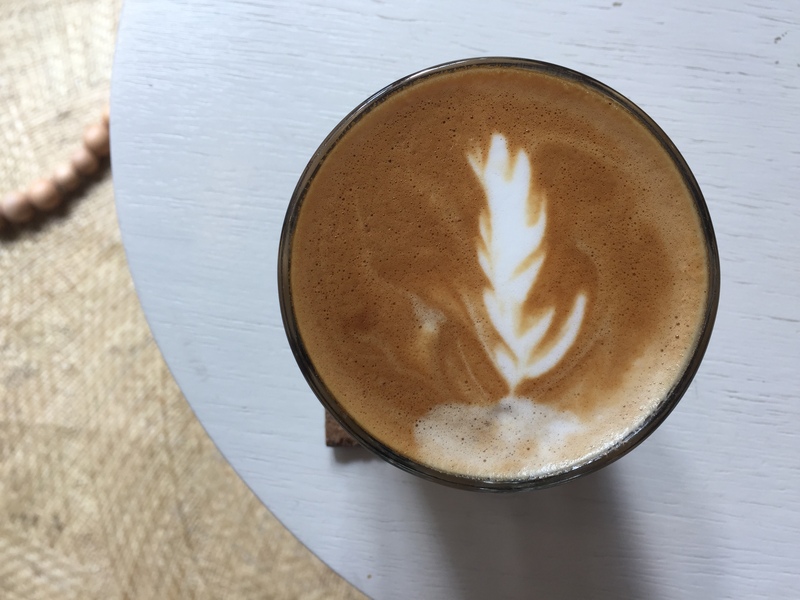 You can have a latte, cappuccino, or in my case, flat white. I definitely recommend The Curator Coffee and Cocktails to anyone looking for a quiet place for some alone time. I haven’t been here on weekends or somewhere late so I’m not sure how the crowd is in those time; around 9:00 a.m. on weekdays is a good time though. 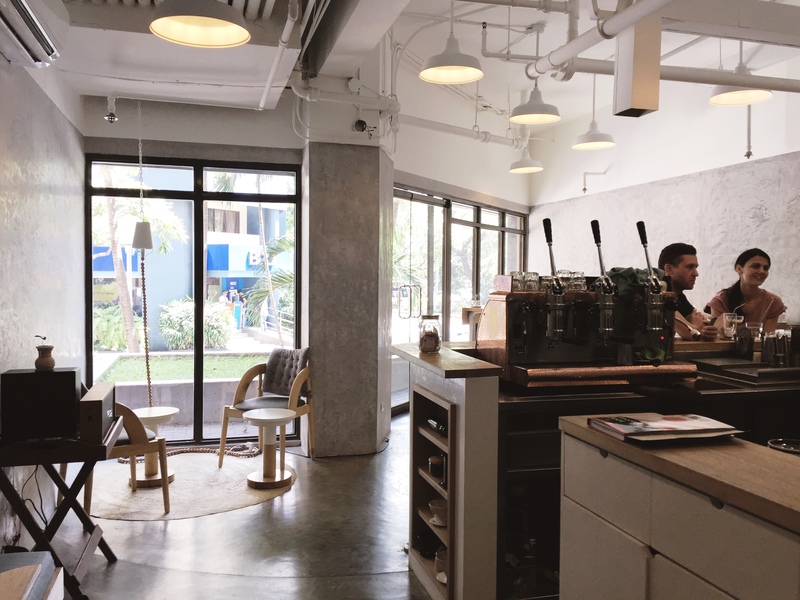 Most of the patrons are yuppies and expats. As with the Internet, unfortunately, they don’t have WiFi. The good thing about this place it’s not just a typical cafe but it is also a bar. 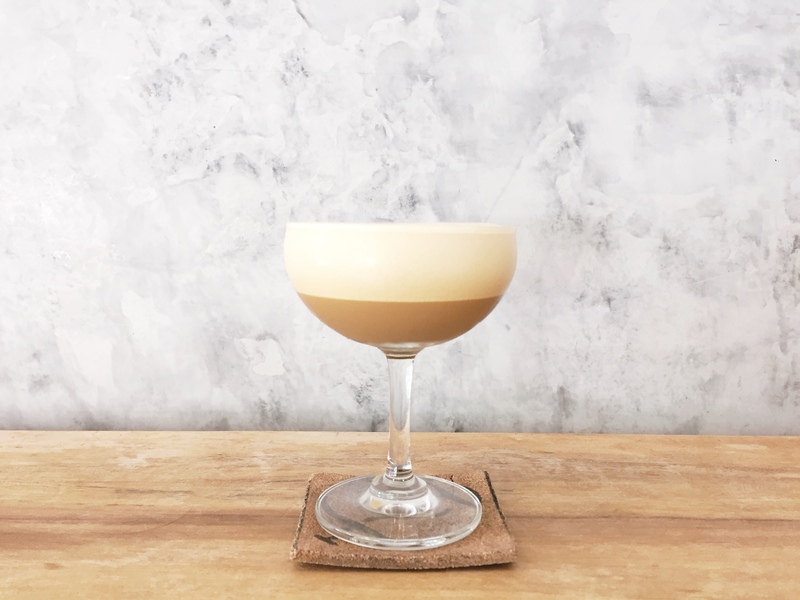 It is not just for coffee lovers but but also for people who want to have some cocktail drinks. This place is too roomy and refreshing. A great place to chill. I wasn’t aware of the concept of third wave cafe and their uniqueness in the form of architecture of the place! This blog post is not just soothing to the eye but also highly informative. Thank you Marjorie for the blog post! Love the rustic Scandinavian vibe. 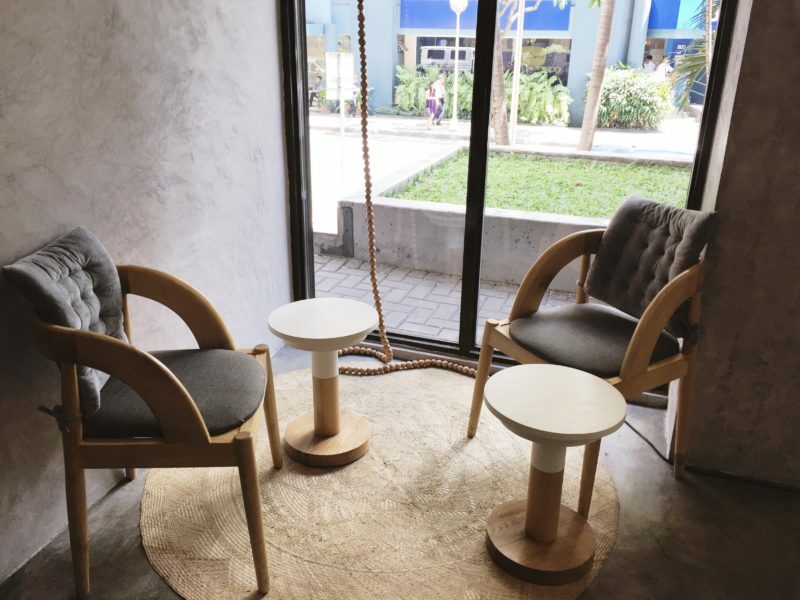 I would love to hang around here alone or with friends especially taking up space in that comfy arm chair by the window enjoying a cup of jo. I had an experience dining here sometime ago with some start up company representatives. It was an awesome experience because I signed up a contract then had a taste of the cafe’s menu. Though I’ve forgotten which ones I tried. I’d love to go back here. I like the ambiance and the bgm. It is an ideal writing place for me I believe. The place looks cool with cool interiors. 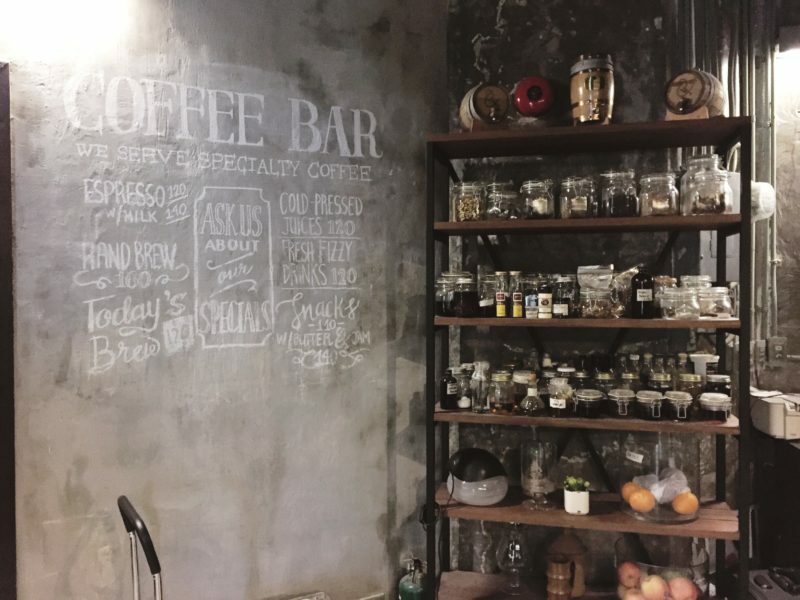 The concept of coffee and bar together is interesting. I loved the sandwich as well as cappuccino. They look delicious and mouth watering.